Timothy Mussard is one of opera's most promising heroic tenors, with a successful European debut singing both Siegfrieds in Marseille Opera's new Ring cycle and the title role in Siegfried for the Stuttgart Opera. In the USA, he has appeared with the Los Angeles Music Center Opera in the title role of Stiffelio and as Herod in Salome, Opera Colorado, New Orleans Opera, Opera Columbus, and Florida Grand Opera as Erik in Der Fliegende Holländer, Seattle Opera in the title roles of Lohengrin and Don Carlos, Florestan in Fidelio, and Radames in Aida, Austin Lyric Opera in the title role in Tannhäuser, Tulsa Opera and Knoxville Opera as Turiddu in Cavalleria Rusticana, and Dayton Opera as Pollione in Norma. He also appeared with the Hong Kong Arts Festival as Herod and repeated his portrayal of the role for Opera Cleveland. In 2009 Mussard was awarded the Prix Lauritz Melchior by the Academie Du Disque Lyrique for his Melba Götterdämmerung recording at the Bastille Opera House in Paris. This prestigious award recognized Mussard as the outstanding Heldentenor recorded that year. Notable conductors with whom he has worked include Zubin Mehta, Herman Michael, Gerard Schwarz, Edward Downes, Richard Hickox, Klaus Donath, Carol Crawford, Bruce Ferden, Thomas Fulton, Carl St Clair, and Willie Anthony Waters. As a concert artist, he has appeared as tenor soloist in Beethoven's Symphony No.9 with the Glendale Symphony, a gala opera concert for the Lyric Opera of Chicago conducted by Zubin Mehta, concert performances of Fidelio at Dartmouth College, Lukas Foss' Serenade for Tenor and Orchestra conducted by the composer in Mexico City and Los Angeles. He has also presented lieder recitals throughout the USA as a scholar specialising in the lieder of Schubert and Schumann. A resident of southern California, Mr Mussard holds M.M. and D.M.A. degrees from the University of Washington (Seattle). 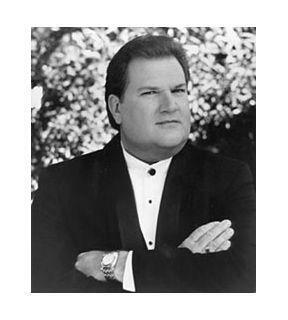 In addition to his singing career, he was the Associate Professor and Chair of the Voice Department and Vice-Chair of the Department of Music at the University of California, Los Angeles and is currently a member of the faculty of the Baldwin Wallace Conservatory in Berea, Ohio.